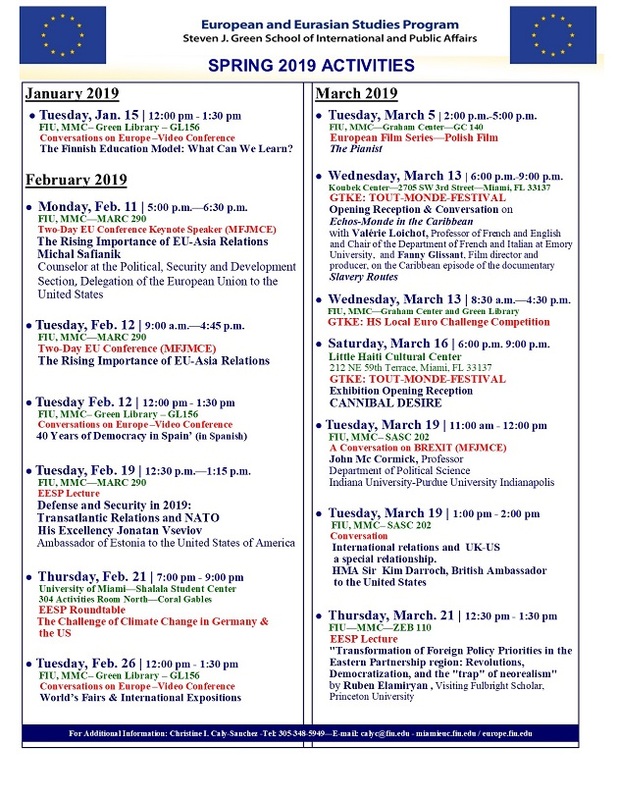 The European and Eurasian Studies Program is organizing many activities this Spring 2019. You are welcome to attend a series of academic conferences, European films, public lectures and roundtables featuring EU speakers. As always, we will have our Conversations on Europe, a virtual roundtable series with the University of Pittsburgh and the U.S. Network of European Union Centers of Excellence. In order to view the details of the Spring 2019 activities,click here.